A review of a 5-volume 1920 anthology — i have not heard of most of the writers she mentions here. Nevertheless Woolf has some strong opinions on what a good essay is and what it does. Because they’re short, essays have a low tolerance threshold for stylistic mannerisms or critically bashing other people. That might fly in novels or biographies but essays need to be pure like “water” or “wine.” The essayist walks a balance between being too breezy and vague about her ideas on one hand, and being didactic and brazen “like the voice of a man shouting through a megaphone to a crowd on a windy day.” Essays are edifying, for sure, but chiefly they’re supposed to be pleasant. Think your own thoughts, he [Butler] seems to say, and speak them as plainly as you can. The challenge to the modern essay is that it has to adjust for modernity. Victorian essays were longer and its bourgeois readers were more idle. Now, in 1920, essays are read on the train to work — everybody’s busy all day and come home exhausted and deadened by the accelerating speed and fragmentation of social life and livelihood. You have not finished with it because you have read it, any more than friendship is ended because it is time to part. Life wells up and alters and adds. Even things in a book-case change if they are alive; we find ourselves wanting to meet them again; we find them altered. So be warm and confident the way you would be to your friends. Share the ideas that spur you; let the freak flag fly, as they say. Write something that people will want to read again and again when they have changed over time and you can meet such changes. (One essay that i come back to in this way is “Birdwatching as Blood Sport” by David James Duncan.) The other important thing is that you aren’t just ingratiating and charming without the meat of style behind it. 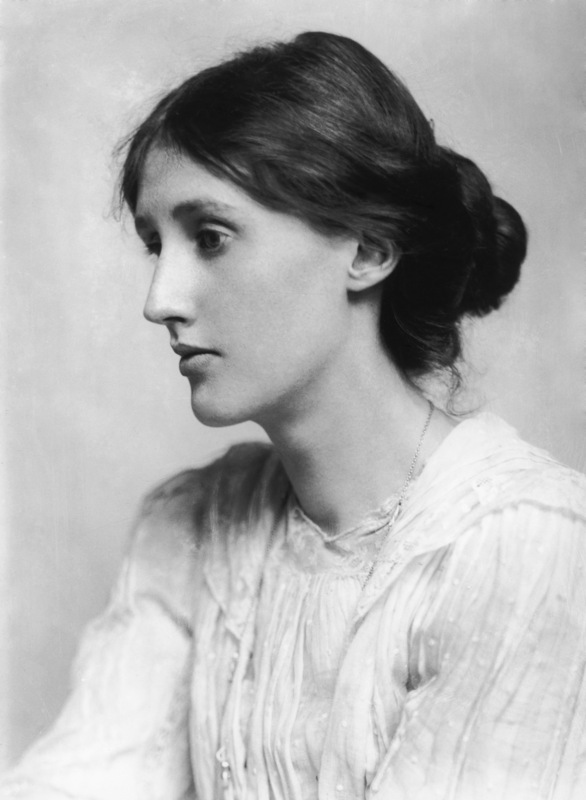 While “pleasure” is Woolf’s chief imperative, the essay still has to be writerly. But literature is stern; it is no use being charming, virtuous, or even learned and brilliant into the bargain, unless, she seems to reiterate, you fulfill her first condition — to know how to write. Well, she is certainly a lot kinder to James Joyce here than she is elsewhere. The writer seems constrained, not by his own free will but by some powerful and unscrupulous tyrant who has him in thrall, to provide a plot, to provide comedy, tragedy, love interest, and an air of probability embalming the whole so impeccable that if all his figures were to come to life they would find themselves dressed down to the last button of their coats in the fashion of the hour. The tyrant is obeyed; the novel is done to a turn. But sometimes, more and more often as time goes by, we suspect a momentary doubt, a spasm of rebellion, as the pages fill themselves in the customary way. Is life like this? Must novels be like this? The conventions of 19th century realism feel like constraints. The turn in modernism towards people’s internal lives and what she calls the “atoms” of thoughts that bombard the mind is interesting and maybe even counter-intuitive. A big insight i learned from Ermarth is that plot, character, theme, and “materialist” narration of realism involves what is actually a complex process of abstraction (where and when exactly is a third-person past tense narrator when they tell the story? ), all in order to make the world seem coherent and orderly. Realistic novels dont have to provide closure or give you a firm sense of mastery of the world, but they assure you that it is always possible. Modern novels, the kind of novels Woolf advocates here, of which Joyce is the main exponent, collapse the abstract distance between the teller and the tale. For all of the stylistic gymnastics that result, the modernist turn is in a way a simplification of this previous arrangement, so that we are thrown directly into subjectivity. But it is impossible to say “this is comic”, or “that is tragic”, nor are we certain, since short stories, we have been taught, should be brief and conclusive, whether this, which is vague and inconclusive, should be called a short story at all. The lack of closure, the ambiguity of the content. For all of realism’s claims to capturing reality as we see it, wouldn’t it be more realistic to sustain life’s uncertainties? Wouldn’t that be more respectful of life? For, unfortunately, it seems true that some renunciation is inevitable. You cannot cross the narrow bridge of art carrying all its tools in your hands. Some you must leave behind, or you will drop them in midstream or, what is worse, overbalance and be drowned yourself. Perhaps all major literary forms go thru the same lifecycle. Once they are no longer the center of cultural phenomena, they become marginal, turn inward, become weirder, start addressing not the public so much as their own colleagues. To Woolf, this seems to be what has happened to poetry and drama, and perhaps today this is the lot of the literary novel. In this opening piece of her book GRANITE AND RAINBOW, Woolf does a bit of speculation on where the novel is going. It will have to process human feelings in a different way. In the first place, one may guess that it will differ form the novel as we know it now chiefly in that it will stand further back from life. It will give, as poetry does, the outline rather than the detail. It will make little use of the marvelous fact-recording power, which is one of the attributes of fiction. It will tell us very little about the houses, incomes, occupations of its characters; it will have little kinship with the sociological novel or the novel of environment. With these limitations it will express the feeling and ideas of the characters closely and vividly, but form a different angle. It will resemble poetry in this that it will give not only or mainly people’s relations to each other and their activities together, as the novel has hitherto done, but it will give the relation of the mind to general ideas and its soliloquy in solitude. For under the dominion of the novel we have scrutinized one part of the mind closely and left another unexplored. This speculative novel will focus less on character interactions and more on solitude; on human bodies in isolation. This sort of thing is pretty rare if you think about it — this solitude over society, perhaps more broadly a figure over representation angle, is why i really enjoy the films of Tsai Ming-Liang. Have there been any novels that realize what Woolf is reaching towards here, what i take to be a kind of dispersal thru purely abstract or internal space? Maybe David Markson (haven’t read)? Perhaps once the novel successfully jettisons plot and character, it will baffle the publishing market so thoroughly that “Novel” as a category will become useless and there will be so many new genres of lengthy prose works in its wake, as Woolf imagines. Honestly im at sea as i type this — where is fiction headed, how will people write differently, who working today is closest to a new “attitude”?